Haba wooden food toys really do look good enough to eat. 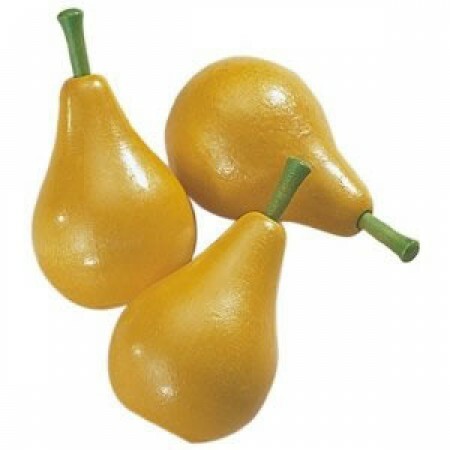 These pears look nice and ripe and juicy. Children love to play pretend games and these wooden food toys are great for firing up their imaginations.